What happens when you take the likes of Jackie Ulmer, Joel Peterson, Russell Brunson, Daegan Smith, Jon Gillardi, Ken Hammond, Mark Call, Roger Dagenais, Bill McIntosh and Bill Constain and put them all together in one place? You get the Online Marketing Masters Workshop by Pure Leverage. This course was announced recently at the Pure Leverage Freedom Live event to the excitement of hundreds of attendees who literally rushed out of the door when the break began to secure their spot as the first members of the course….and to add this in as another stream of income in their Pure Leverage Marketing tools suite. Starting with the Pure Leverage basic platform as well as the VIP membership, the new Online Marketing Masters Workshop is the extra piece that many people online were looking for in regards to the proper training needed to take it to the next level in the online marketing arena. Currently the course is only open to Pure Leverage members, though it has the potential to make a great stand alone product and might be one day though do not quote me on it here! If you really are serious about making this a business and not just a hobby, you need to make sure you have the right tools, training and support to start building your brand. Being able to consolidate them all in to one place is going to make your life that much easier. When Todd Gross started to tell us to Back up and Think first at the Pure Leverage Freedom live event to start our “smart video marketing” growth I thought back to the launch of Pure Leverage. Back in march of 2013 there was a lot of buzz surround the new marketing platform which includes autoresponder, video email, webinar conference room, a blogging platform (seen in this website), live training and much more. But then life happened and I got busy with coaching, trainings in other courses and everyday family stuff and I did not make as many videos…and boy did I notice a drop in my traffic. I was also sending folks who visited my site right to my affiliate links instead of building MY BRAND and ME. Thus I might not ever be able to follow up with them again. So it was really ironic when Todd Gross hinted at a similar method for list growth in his speech today, giving me more of a kick in the teeth to get my act together online. All you need to do to start building your “know, like and trust” value is to TARL as well. Even videos as short as 1 and a half minutes are going to be beneficial to get you noticed. If you are great, your followers really want more and if you are bad in the beginning, hey, it is only 90 seconds of your life that you can always redo later when you get more comfortable. 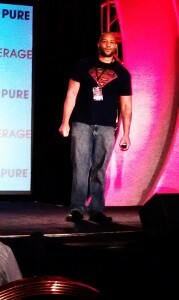 For information on the full speech Todd Gross gave, make sure you become a member of Pure Leverage for just $1 here: http://MagneticSponsors.com/Leverage and then take advantage of the event access when it comes available because this two day event was freaking awesome and full of marketing gems you can start implementing immediately into your business to start seeing growth. If you are just starting out your online or work at home business you have to understand one thing right from the beginning. You need to keep putting in a consistent effort and have a daily plan if you want to continue to see growth and experience success. All too often, someone comes online and looks at an opportunity and wants to be making $5000 by next week because they already quit their job. While this can be possible, it is not too probable. While at the Pure Leverage Freedom Live event, the first speaker to kick off out marketing education was a WAHM (Work at Home Mom) Jackie Ulmer. She has total proof that this practice of consistent effort pays off as she has been in the industry for 14 years. One of the main ideas that she had for us was the idea of having a daily plan of action or a daily strategy. Unless you are working on this daily, it really is not going to turn into a business and is more likely to end up like a hobby that you dabble in now and again and really see no apparent growth with. Task do not need to be technologically advanced and be as simple as blogging and sharing your content daily on social media networks, emailing your list (about the blog post too!) and especially list building. The more you build your list and the more you are consistently putting in effort to interact with your family of subscribers, the better they will get to know, like and trust you and want to do what you are doing and use the tools and courses you are using as well. As they say, the money is in the list, or the fortune is in the follow up! This Freedom live event was not as much eye opening to me as much as it was a jab in the face. I have been slowly building my business since 2009 online and have had some great successes, like winning a trip to Kenya with Russell Brunson, though I still needed to have a major change in how I was building. I have focused a lot in the past on affiliate offers and promoted for others, while not always focusing on growth of my own list. When you hear about affiliate contest and social proof of sales statistics, you see these huge payouts in a short period of time. That is because they had the right plan and continued to grow their list, engage that list, provide quality content to that list and felt obligated to share the right tools and courses with the list to help grow their business day in and day out. When they sent an email, it went to hundreds of thousands possibly because they had set up their business the right way with consistent effort. Jackie Ulmer also reminded us make sure we are out there to be found! What she meant by this was that you really need to be sharing your content, videos, strategies and more all over the internet so people can find you. She has built much of her business on free traffic strategies and organic traffic through being found all over the internet. A google search for Jackie Ulmer just brought me back 586,000 results. Now don’t you think her consistent effort has paid off here! 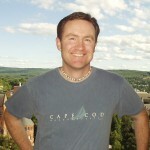 If you want to find out the whole scoop on what Jackie Ulmer shared with us as well as many other marketers like Russell Brunson, Daegan Smith, Joel Peterson, Todd Gross, Mark Call, Michelle Pescosolido and many others, you need to come try out Pure Leverage and their wonderful tool suite. They will be making the whole Freedom Live event available to purchase soon thanks to the great work of Royster productions, who filmed the whole event. The only way you are going to see consistent growth is to continue to take continuous action and put continuous effort into your business! We need to realize that we are all imperfect human beings and that if we strive to be perfect, especially in the process of building our businesses, we will never make any progress at all. I have always lived on the mantra picked up by Bob “The Teacher” Jenkins, in TARL, or Take Action Revise Later and this has helped me win prizes such as ipads from Omar Martin, strategy sessions from Daegan Smith and even a trip to Kenya with Russell Brunson. Yeah, all because I took action while others did not for some reason or another. The thing you have to need to understand though it that I might have screwed up along the way and possibly had a do a video a few times if it was a live take…heck just the other day I was revamping my lead capture video for a book I published with my mastermind group and did the first video at least 31 times before I was able to feel comfortable with how it came out. I am sure there are still errors in it, but I am going to get it out there and can improve it later on. This might put me out of my comfort zone, but nowhere near a panic zone as I am in the learning zone in the process, figuring out what works and sounds good, as well as what doesn’t and sounds bad. Be confident and take action and it will keep getting easier and you will get more comfortable in the process, which will then allow you to try even more things to continue to grow your business. If you keep trying to be perfect though and deleting all of your videos and posts until you think they look divine, you will never see the growth that others may view had you put up everything! So go ahead and take action now, make your 1st or 101st video and load it up to Youtube and your blog and share the heck out of it and let people know what you are made of!